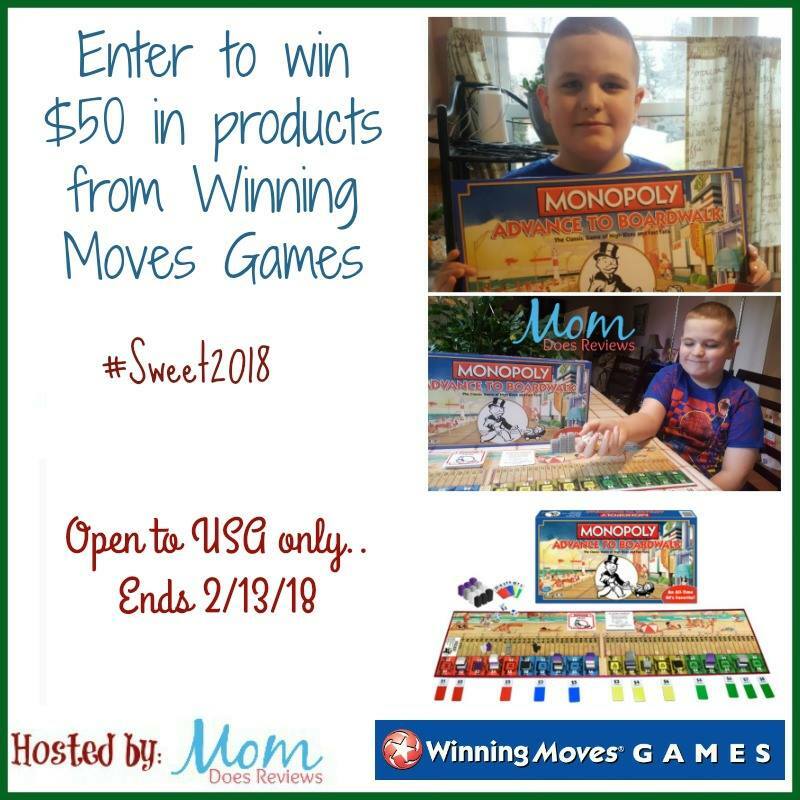 This giveaway is sponsored by Winning Moves Games and hosted by Mom Does Reviews. I was just taking to my Mom the other day about the fact that I really did not have many toys growing up. But I did have a lot of board games! 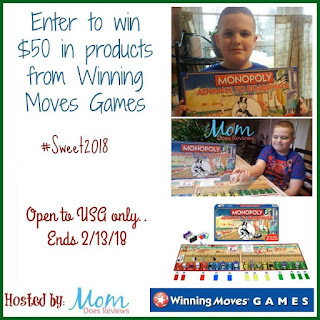 Monopoly is still my favorite and according to my Mom--she tried to get me to play Chutes and Ladders since she did not really like many of the other games (when I was really young!). There is nothing to compare to a board game, in my humble opinion. Parker Brothers and Milton Bradley have been around for MANY years. 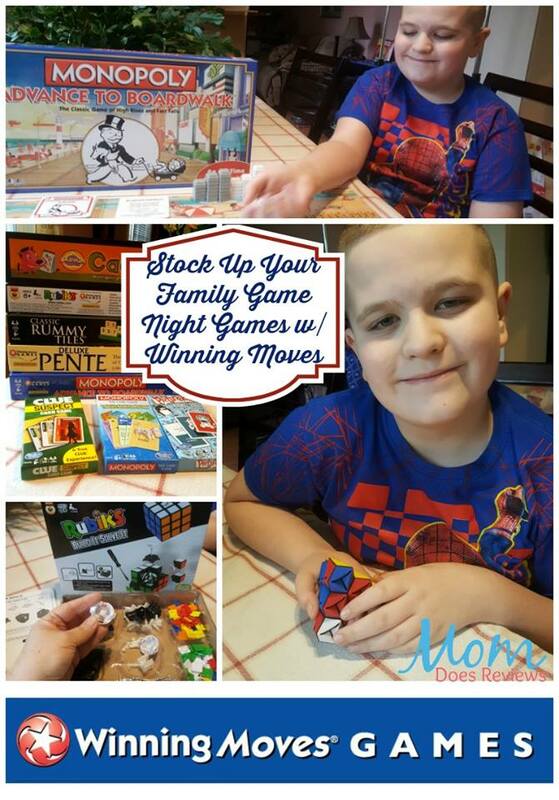 I am sure there will be several games that your children and you will be able to pick if you are the lucky winner--no matter their age!! 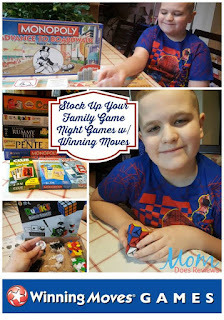 One lucky reader will win a prize package of $50 in games! My favorite game now and then was Scrabble. As a child, I liked checkers. Now I like the family game of Trouble. I always loved monopoly, now our family favorite is sorry! We didn't have any board games other than checkers. Since then Scrabble, Sequence, and several versions of Monopoly have been favorites. I enjoyed Sorry as a child. My current favorite is Monopoly City. Loved Monopoly when I was a child. loved Monopoly as a child, now like playing slots. Monopoly was my favorite game as a kid. As an adult, it is Supernatural Monopoloy lol.. Monopoly was, and still is, my favorite game. I liked Chutes & Ladders. Yahtzee...it's not really a board game...but it's in the same aspect.. I LOVED Mouse Trap when I was little. Now that I'm older I play a lot of board games with my son. Our favorite right now is Agricola! My favorite board game as a child and now is Scrabble. I loved operation , now, I think maybe monopoly is my favorite.